As we are just under 30 days from camp, we are all hard at work planning the Ramah Sports Academy’s inaugural kayitz (summer). We can’t wait to welcome all of our campers to have an amazing experience. We are so excited to be full in Session 1 and to have some spaces left in Sessions 2 and 3. While your campers are the most important people at camp, we are also getting excited about some special guests. Throughout the summer RSA campers will have the opportunity to interact with many exciting members of the sports community. From current and former professional athletes to leaders of sports-related industries, we can’t wait for your campers to get to meet the incredible people described in this month’s newsletter. More than just photo opportunities, our guest program is an extension of both our sports instruction and Jewish learning. We will hear inspiring stories and get a closer look at the values that drive these influential figures, all in the effort to raise our game both on and off the court (or field or pool). Our campers will also explore the value of hachnasat orchim (welcoming guests), as we invite these speakers into our camp home. Read on to learn more about this exciting facet of our programming. 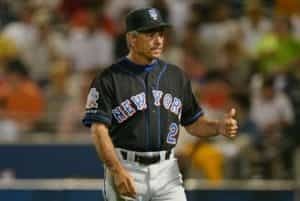 Bobby Valentine is a former MLB player and manager. He played for the Dodgers, Angels, Mets, and Mariners. He then went on to manage the Rangers, Mets, and the Red Sox. He is now the athletic director at Sacred Heart University and runs the Bobby Valentine Sports Academy, located in Stamford Connecticut. 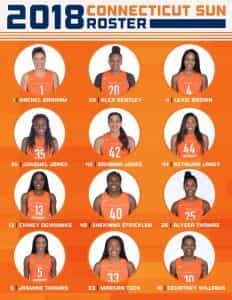 Some of the star players of the WNBA Connecticut Sun will be coming to camp this summer to work with our athletes, teach skills, and tell stories from the court. 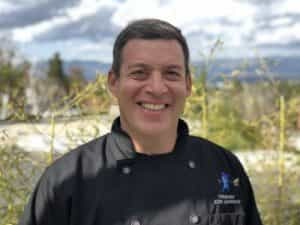 After working in film and television for 20 years, Chef Danny founded Culinary Kids Academy to help kids of all ages reach their potential through their hungry stomachs and minds. Through Culinary Kids Academy, Danny runs educational workshops on both secular and Jewish educational topics. 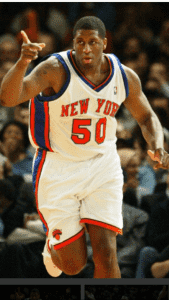 Michael Sweetney was drafted as the 9th overall pick in 2003 by the New York Knicks. Before his professional career, Michael played at Georgetown University. He was top ten in points, rebounds, and blocks for the University, despite only playing 3 years before declaring for the draft. After playing for the New York Knicks and the Chicago Bulls, Michael went to play overseas. Bonnie Eshel is a former cyclist and triathlete with 13 Israeli national titles to her name. Bonnie made aliyah after dabbling in triathlon in the US. After retiring from competitive cycling, Bonnie was elected President of the Israeli Cycling Federation and served for a 3-year term, during which time, for the first time ever, Israel hosted the European Mountain Bike championships. Look out for more e-mail updates and posts on our social media accounts announcing other exciting guests that will be stopping by RSA this summer.